Painting and mixed media classes start in my studio tonight after a long holiday break. I’ve missed seeing the group on a weekly basis and I expect fun times ahead. That means today I have to spend some time restoring the studio back to a classroom, which won’t take too very long. But it does have my own mess scattered everywhere right now. The mess I’ve created has to do with lots of experimenting with the gelli plate and creating lots of new collage papers and finished collages. Here is another one. Opposites Attract – Collage, 6×8″ mounted on 8×10 backing. 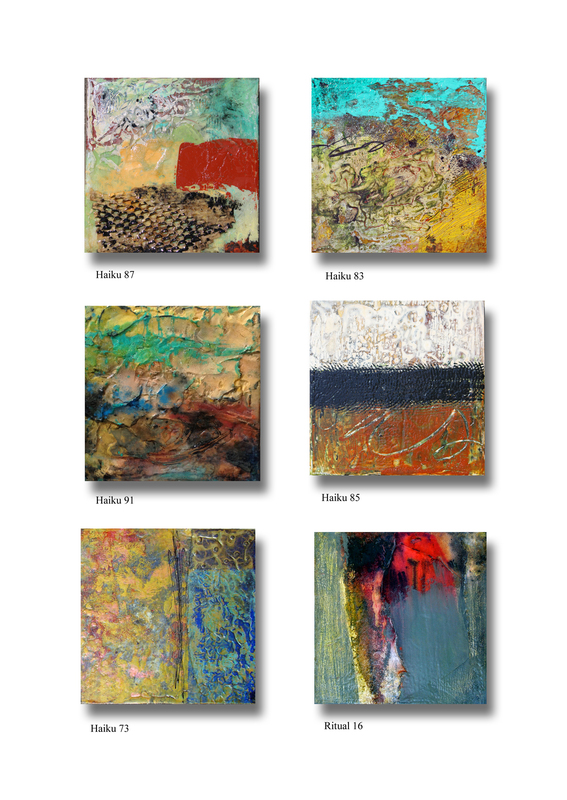 And I got great news from Michael Murphy Gallery in Tampa that they have sold six of my pieces! These are the ones that have sold, and out of this group, five of them were the newest ones I had sent to the gallery last fall. I’m always grateful for those little surprises. Thank you, Karen. Nice to have you stop by and comment! I wish you the best with your blog adventure. You will have fun during those class get togethers! There is something special about a group. Thank you, Pat! These classes have turned out to be fun, precisely because of the group itself. They are very new to painting, so they each have things we work together on, and sometimes they get frustrated. But as a group, they are a ton of fun! As always, your Blogs are an inspiration to me. 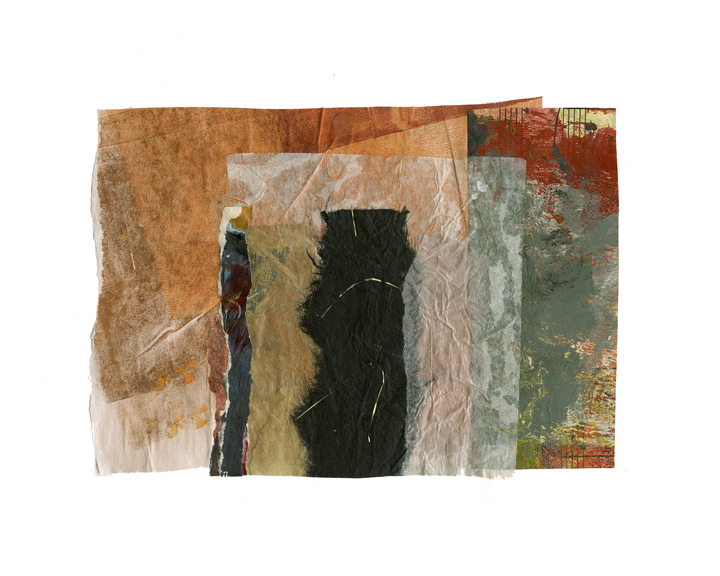 I need to order and experiment with one of the Gelli plates…. Shirley, I think you would love the gelli plate! If for nothing else, just to make amazing collage papers. Good on you! It’s always encouraging to sell, although that might not be one’s real motivation. Enjoy your classes. Thank, Jo! Yes, it’s nice to get some monetary reward now and then, but that’s not ever the motivation. Even within the parameters that I’ve set for my pieces for the one remaining gallery that I work with, I have complete freedom to create unique pieces. It’s a great feeling. I think everyone should visit your blog. It’s very inspiring! all are really good,you should be proud.Congrats!! Thank you, Majda. I appreciate that very much!